Back in 2005, when Albemarle County instituted its 15% inclusionary housing regulation on all new residential rezonings, Overton McGee, then Charlottesville Habitat for Humanity CEO stated “It was a good first step”. I was quoted in The Daily Progress “You just made housing less affordable to 85% of new home buyers”. My larger economic point seemed to be lost on the reported but time has proven this paradoxical prognostication to be correct. Seattle’s proposed solution to this deadlock, unveiled in 2015, is known as the “grand bargain”. It would reduce restrictions and unleash building on big patches of city. In exchange, developers would have to reserve a few units for renting below the market rate or pay into an affordable-housing fund. Such schemes, known as “inclusionary zoning”, are increasingly common in progressive American cities. They can lead to more mixed districts and placate left-wing critics. But they are not without problems. By reducing future earnings, inclusionary zoning acts as a tax on new development. If the affordability requirements are set too high, many new projects will not be built. Bill de Blasio, New York City’s progressive mayor, championed requirements that at least one-fifth of new units should be offered below the prevailing market rate. San Francisco sets the threshold as high as 30% and imposes a clutch of added “impact fees”. Developers complain that these fees suffocate all but the most lucrative projects—which then invite criticism as “luxury high-rises”. Charlottesville and Albemarle County have heard the cry of building only high end product. The perverse reality is that the affordable housing fees actually push against housing affordability. Due to regulatory hurdles and outright prohibitions, there is a lack of price variety (and format) in the new products being constructed. In Late July, Daniel Herriges of www.StrongTowns.org wrote of the oft mentioned ‘missing middle’ housing in his article “Why Are Developers Only Building Luxury Housing”. Missing Middle housing—buildings containing anywhere from 2 to 19 units—can be a sweet spot when it comes to construction cost. Duplexes through fourplexes in particular are built in much the same way as single-family homes, but the cost of the land is distributed across multiple households. Even cheaper to build than a duplex or fourplex is an accessory dwelling unit (ADU). It’s no accident that a disproportionate share of America’s existing “naturally occurring” (i.e. without subsidy) affordable housing takes Missing Middle forms. Unfortunately, we’ve pretty systematically outlawed the Missing Middle in many neighborhoods. Single-family homes are the only thing that can be built on 80% of residentially-zoned land in Seattle, 53% even in renter-friendly San Francisco, and 50% in Philadelphia, to name just a few cities. In suburbs, it’s common for over 90% of land to be zoned for single-family residences exclusively. This supply and demand mismatch is behind the need for “missing middle” housing, often built by small developers and builders. Meanwhile, the demand for large-lot single-family housing, the mainstay of the US building industry from the 1960s through 2008, is declining. Nelson’s research comes up again and again in discussions with thoughts leaders in small-scale urbanism. . .
. . .Nelson has been saying much the same thing for more than 10 years—yes, even before the housing crash—and he has been right so far. His numbers are based on demographics, demographic trends, market trends, and housing supply and construction data. If we accept that the majority of the land available for development is designated to single family residential, and that there is a market demand for a different, more intense form of development, can regulations be relaxed to allow such increased density and perhaps increase the supply of missing middle (affordable) housing? In a cityscape dominated by single-family homes, a proposal to allow four-unit residential buildings virtually everywhere in Minneapolis is stirring strong and conflicting feelings among neighborhood leaders. A draft of the city’s updated comprehensive plan won’t be published until March 22 or completed until December, but the City Council and Mayor Jacob Frey were recently briefed on the high-level concepts, one of which is a historic rewriting of the zoning rules that would allow property owners to build fourplexes on any residential property in the city. Middle Housing www.missingmiddle.com describes the fourplex as a medium structure that consists of four units typically two on the ground floor and two above with shared entry. Typical unit size is between 500 – 1,200 square feet with a net density of between 15 to 35 dwelling units per acre. How might such a proposal be received in the City of Charlottesville or Albemarle’s development areas? How could reducing the regulatory requirements increase housing affordability? Would increasing the developable area of Albemarle positively impact affordability? Would relaxing Charlottesville’s Accessory Dwelling Unit (ADU) regulations assist in providing a bulwark against gentrification and revenue for the existing homeowner? 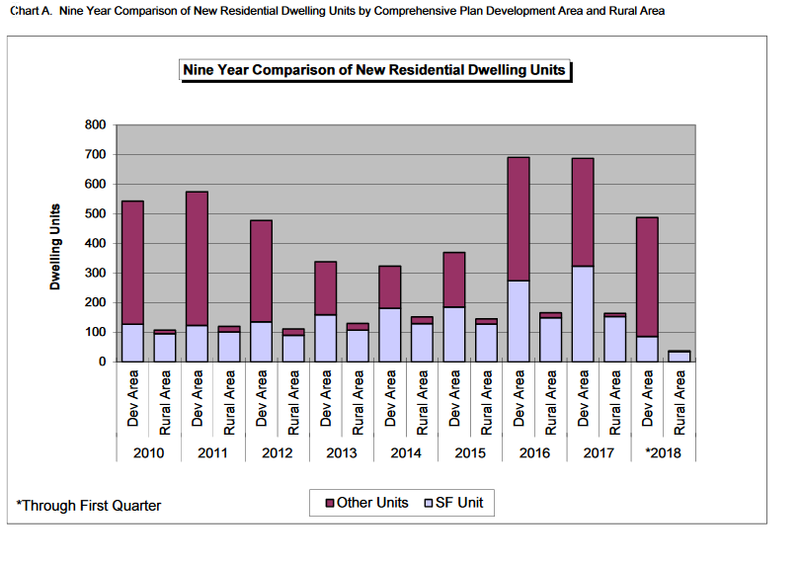 We find ourselves agree with Albemarle Planning Commissioner Pam Reilly who last week said, “We are lacking an affordable housing policy to guide our decision making”. If the community wants to address the market need for affordable, accessible housing, policies and regulations should permit, but not require, the market to respond to consumer demand for denser development AND redevelopment without mandated affordable units. Ironically, getting rid of the affordable housing mandate will make housing more affordable.